The UN Refugee Agency is working to relieve a global crisis. You can help. 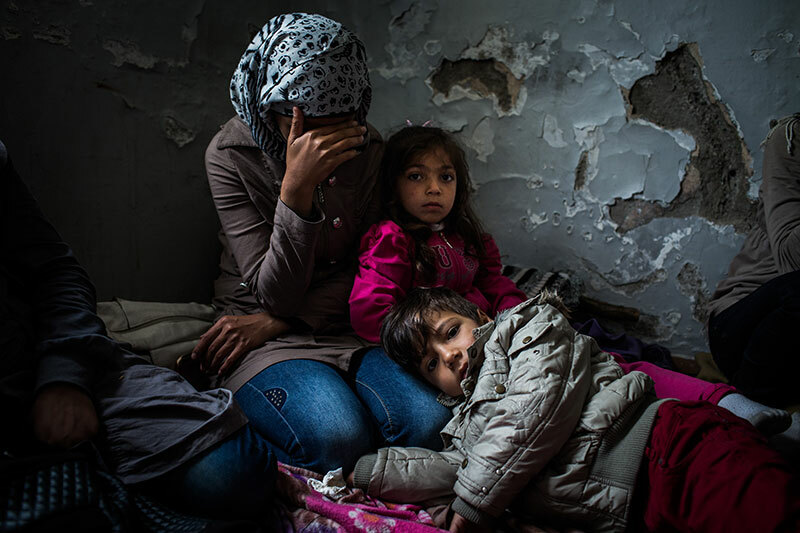 Millions of Syrian people have been forced from their homes by violence and war. All of us can help the UN Refugee Agency provide them and other refugees worldwide with the necessities to survive and rebuild. Thanks to every person who contributed to this campaign, shared it, or just lent a word of support — it’s made a world of difference. But there’s work left to be done. If you’d still like to help, visit USA for UNHCR to learn more and contribute to relief efforts. These funds could allow 1,500 people to receive immediate necessities in an emergency rescue kit. These funds could allow 2,000 people to receive immediate necessities and sleeping gear. These funds could provide immediate necessities and a place to sleep for 3,000 people in need. These funds could provide immediate necessities and a place to sleep for 5,000 people in need. These funds could provide immediate necessities and a place to sleep for over 7,000 people in need. For months, we’ve all watched the steady unfolding of a humanitarian crisis. Waves of refugees, driven from their homes by violence and war, have given up everything to escape. 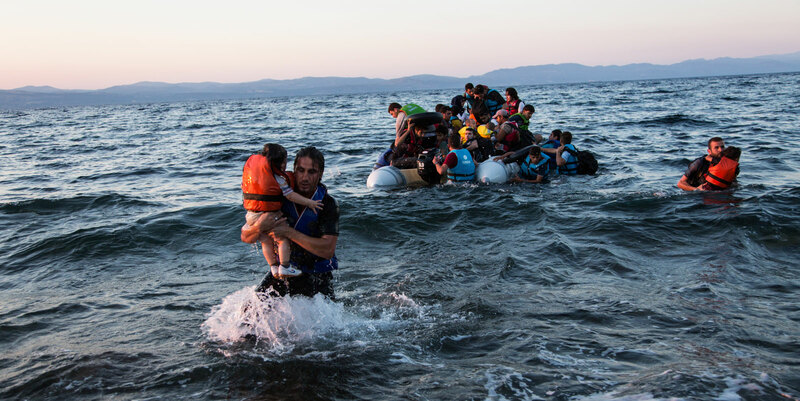 They’ve crossed nations on foot and open water in cramped, unsafe boats, just to reach someplace — anyplace — safe. UNHCR’s job is to help them survive and recover: to provide aid and shelter, reunite families, and support people as they struggle to build new lives. This year alone, half a million refugees have found their way to Europe. Many of them arrive exhausted, malnourished, and carrying the few possessions they could save. Six thousand more are arriving in Greece each day. Globally, more than half of the refugee population is under 18. Often, children end up separated from their loved ones, lost in strange new places. UNHCR is helping, in Europe and around the globe. And you can help them. At the invitation of the White House, we’re joining the effort to support their important work. Any money you give through this campaign will go directly to USA for UNHCR to provide aid to people who need it — everything from food, water, and warm clothes to special care for children separated from their families. Look above to see what your support could provide to people in need, from the most basic necessities to the tools to keep communities together. This is a complex and evolving crisis, and there are no overnight solutions. But even a small contribution can give a family a place to sleep, or a child a set of dry clothes — and to them, that helps a lot. USA for UNHCR is a registered 501(c)(3) nonprofit organization. 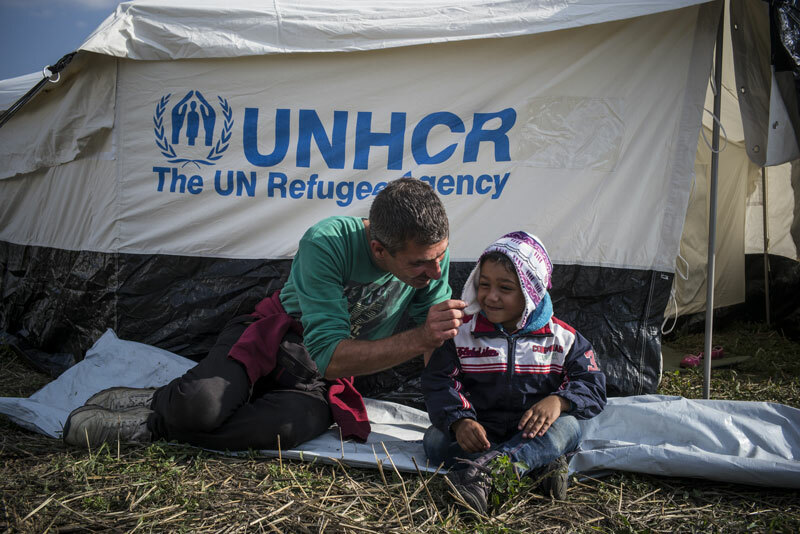 All donations to USA for UNHCR are tax deductible to the fullest extent allowed by law. How is this campaign different from others on Kickstarter? All contributions will be collected immediately at the time they’re made. This campaign isn’t all-or-nothing, and you can donate as many times as you’d like before the funding period ends on Tuesday, October 13. This campaign doesn’t have a funding goal. The funds contributed will go directly to USA for UNHCR (minus a small credit card processing fee). We’re donating our usual 5% fee to aid these efforts, and Stripe, our payments partner, is waiving its usual fee. You won’t see this campaign reflected in your Kickstarter backing history, but we’ll send you an email confirmation at the time of your contribution. Who will receive my contribution, and how much of it will they receive? Contributions will go directly to USA for UNHCR, a registered 501(c)(3) nonprofit organization. We’re donating our usual 5% fee and Stripe, our payments partner, is waiving its usual fee. The only thing that comes out of your contribution is a small credit card processing fee — in this case, around 2%. Check that you’ve entered a valid credit card number and expiration date (and make sure your card has not expired). If using a debit card, ensure that you have sufficient funds in your account to complete the transaction. If using a credit card, be sure you haven't exceeded the credit limit on your card, and that your card allows for online transactions, as well as transactions in USD. If everything seems to check out, it’s possible your bank has put a hold on the charge — either due to a specific issue with your card or a broader problem. Please contact your bank or card issuer to ask for more information and to authorize the charge. If your issues persist beyond that step, please let us know. Video #1. "We Can Help," from USA for UNHCR. Video #2. "We Walk Together," from The Guardian. To see the full video, click here. Video #3. 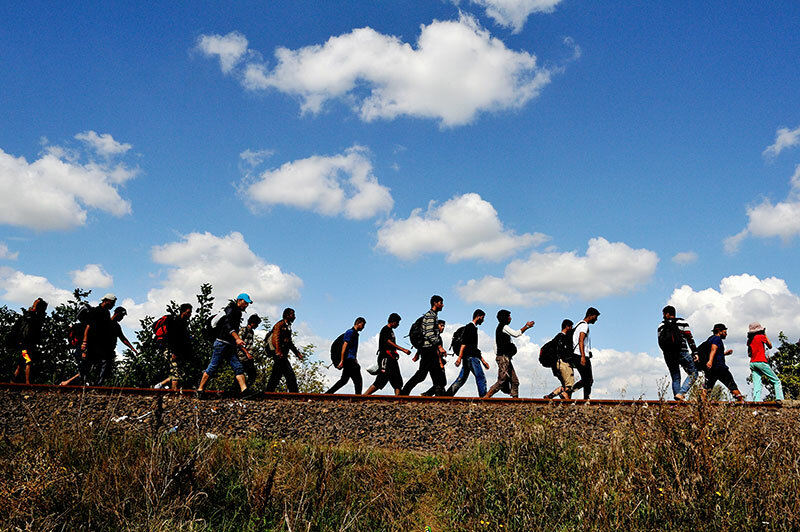 "How You Can Answer President Obama's Call to Aid Refugees" from The White House. Video #4. "Passport, lifejacket, lemons," from The Guardian. To see more, click here. Most of all, thank you to everyone who’s contributed. Two weeks ago, the White House reached out with an idea. What if you could use Kickstarter, they asked, to help the millions of refugees seeking safety in the Middle East and Europe? We immediately said yes. With this campaign, we’re answering that call, and working to raise awareness, raise funds, and deliver aid to those who need it. This isn’t a typical Kickstarter project. There’s no all-or-nothing funding goal. The rewards are all about giving, not getting. And we’ll be donating 100% of our usual fee to support these aid efforts. Most days, this site is a home for people working together to create new things, but this campaign is about something else: working together to bring the most basic of necessities to people who need them dearly. Even a little support can give a family dry clothes, fresh water, or a place to sleep — those “small” things that become everything as soon as you’ve lost them. We’d love your help.